No matter how hard you try to bulk up, all your efforts will be put to waste if your lifestyle is the saboteur. Yes, you have to eat lots of calories, but it’s not an excuse to splurge on alcohol, sugar, and fast food. You also have to work out, but it doesn’t mean you’re going to rip your muscles every day at the gym. There are also little habits like staying up late that, although harmless, can slow down your progress in the muscle department. So before you spend another week of dysfunctional routines, ask yourself this question: what should I change on my lifestyle to gain more mass? For years of dealing with weight issues, one advice that I received is that you’ll never see what’s wrong until you let another pair of eyes look at it. It’s true since you’re blinded by the concept of false progress. However, don’t be afraid of knowing the results. It’s actually a good way to reassess your routines and gain more bulk fast. I’ll admit it, working out can be a loathsome thing at the start. Who would want to subject himself to heavy weights and tiring routines? But over the years, I realized one thing: once you treat it as a hobby, you’re going to love it. Don’t stress too much if you can’t hit dozens of reps today, you can always try tomorrow to break your plateaus. Always find the beauty of your routines. Each time you stretch your biceps or lift those dumbbells, think of your muscles getting bigger and bigger. It’s quite hard to do this but trust me, working out can be a very enthusiastic activity. Listen to your favorite music or wear your favorite outfit. These little make a big difference. So what should I change on my lifestyle to gain more mass? Start with this one. Usually, mass gainers will come up with a routine and stick to it until the end. Although this will show results, a monotonous workout routine has its limits. Stretching the same muscle over and over again means the other muscles aren’t getting the attention it requires. Perform various routines that will target different muscle groups. Avoid exercises that will stretch only one muscle or move a single joint. The stress incurred during these routines isn’t utilized well, unlike when you have a series of exercises to alternate. Varying routines will make your workout routines interesting. Don’t just focus on lifting weights; add cardio on your workout to keep your heart in check. When you’re starting out on your bulking up journey, one of the common lifestyle flaws you practice is burning it too much at the gym. You spend your whole day off from work ripping every muscle on your body you can think of. So what should I change on my lifestyle to gain more mass? In the mass gain arena, you should know that speed isn’t the name of the game; intensity is. The best workout to incorporate on your lifestyle is a maximum of one-hour under extreme intensity. Such a thing will subject your muscles to a whole new level of stress they aren’t used to feel. The result? Leaner muscles and a healthy body. It takes time, but all worth it. Going through the process alone can look pretty straightforward and easy for introverts like me. But guess what? As your routines become more intense, you’ll need the opinion of others about your regimen. You would have to talk to a nutritionist or a medical professional about certain supplements. You’ll deal with a gym coach along the way to ensure that your mass is gearing toward progress. And like what I said earlier, another pair of eyes will help you diagnose what’s wrong with your routine. What should I change on my lifestyle to gain more mass? Doing it alone! Having a friend working out with you is a massive confidence booster. As long as you don’t spend the whole session chatting, this will be a very helpful aspect of your progress. Meat, dairy, and powder supplements: If you hate all these, you should start finding their sweet spot. Protein is the number nutrient you should take to build more muscles and fight off fat storage. It’s the main component of muscle cells that play a vital role in the repair of micro tears incurred during a workout session. But before you devour platefuls of steaks and eggs, you should know how much protein you actually need. The rule of thumb is taking 1.6 grams of protein per kilo of body weight. This amount is ideal for muscle-building; however, protein needs may vary per person. Those who are into advanced workout routines might need more while others who have digestive issues might need to take less. What should I change on my lifestyle to gain more mass? It’s not enough that you just pack up on fruits, veggies, and protein sources. You should know the right time for eating these food items. Protein, for example, is very much needed after the workout since the muscle cells are in a recovery phase. With that, you can snack on protein or sip a post-workout protein shake. Taking the right pre-workout meals is also crucial. Having a dose of protein at least two hours prior to your workout session will condition the muscles for the strenuous routine. Avoid downing your whole protein serving for the day in just one sitting. It will piss your tummy and cause bloating. Supplements are necessary parts of gaining mass. These commercial products will augment the deficiency on your body which causes the slow bulking process. Protein supplements are the most common products nowadays since a lot of mass gainers are lacking with a complete set of amino acids, causing more fat build up. As long as you keep the supplements in moderation there’s nothing to worry about. Besides, there are vegan, non-GMO, soy-free options out there that you can choose for a healthier and natural muscle gain. Don’t rely on supplements alone, either. Learn how to take it so you won’t sacrifice solid meals where you get most of your daily nourishment. So what should I change on my lifestyle to gain more mass? Look at your diet. So here’s the deal. Just because you need to eat more calories, doesn’t mean you’re going to purchase a dozen bags of Doritos. Junk foods like these including alcohol, soda, and fast food aren’t the best sources of calories. Although it will give you delicious carbs, it will also feed you unnecessary amounts of salt, artificial preservatives, coloring, and fillers. It won’t be favorable for your kidney, especially if you’re taking supplements along with it. If you’re hungry, you can eat “clean calories” from carb-rich food like rice, legumes, or dairy products. I’m not saying that you have to ditch your guilty pleasures, just don’t fill your diet with too much of it. Skipping enough hours of quality sleep is one of the most overlooked saboteurs of muscle growth. It’s when you’re sleeping that the whole body regenerates and repairs damaged cells. This includes your muscles. Lack of sleep will make you feel lethargic the next day, thus a less productive day at the gym. It will also cause your stress levels to spike up. So what should I change on my lifestyle to gain more mass? Your late night marathons. Take note that growth hormones like testosterone are produced during sleep. If you have a habit of staying up late, you’re missing the chance to unleash the most muscle-building abilities of your body. Making up for the lost sleep hours by waking up late isn’t healthy either. Carbohydrates are one of the most misunderstood food components of all time. It’s an enemy of weight loss, but it can be a good friend of muscle growth. You need to eat lots of carbs, especially if you’re skinny. It will be the source of energy during the workout and it will also give you some body fat. Having the right mix of carbs is a good way to debunk the wrong notion about it. Aside from protein, you also have to pack your muscles with glycogen. It’s a substance that adds mass to your muscles on which one of the main sources is carbs. You can get carbs from potatoes, oatmeal, rice, pasta, and bread among others. What should I change on my lifestyle to gain more mass? There’s no shortcut in muscle gain. You have to practice patience along with the proper routine. You’ll slip for a day and gain more in the coming weeks. It can happen, but you can minimize the slips if you continuously monitor your progress. You can use a journal or a mobile app to ensure that you have a reference in case you start losing muscles instead of fats. Every two months, have your body composition checked to know how much muscles are present in contrast with fats. It’s a very easy and quick assessment of what has transpired in your body after working out, eating more, and taking supplements. As much as you need carbs for energy, it doesn’t mean you have a good excuse to relentlessly satisfy your sweet tooth. Sucrose and other artificial sweeteners found in candies, sweetened drinks, doughnuts, and desserts are simple sugars. It means that the moment it reaches the bloodstream, it becomes the first energy source in line. Although that sounds good, it spells trouble to the other carbs stored on your body. You’ll find it hard to burn those and convert it to muscles. So what should I change on my lifestyle to gain more mass? This guilty pleasure. In relation to this, do you know that you actually crave more sugars if you slept poorly? Because of the low levels of glucose on the body, you tend to reach for these sweet treats. If you’re a massive drinker, it’s time to give your shot glass a break. Alcohol causes bloating, unhealthy calorie storage, and slow metabolism. All of which aren’t helpful in gaining mass; instead, it makes your tummy look bigger than normal. If you want to celebrate a whole month of successful workouts, you might as well treat yourself to a delicious (but healthy) meal. Ditch the alcohol and just hydrate with water or protein shakes. What should I change on my lifestyle to gain more mass? By far, this is the hardest lifestyle change to do. It entails saying ‘no’ to friends, missing family gatherings, or cutting your happy time outside your home. But it’s all worth it, in my opinion. When you’re stressed out, your body is flooded with cortisol. It’s a stress hormone that interferes with the functions of growth hormones. That directly means that your muscle growth is put on the brink of slipping. Too much stress also slows down your fat burns and what will happen is more storage. Work and life problems are the leading causes of stress. However, there are also guilty habits that spike stress levels without you noticing it. Some of which are poor sleep cycles, over workout, and too much TV. Solid meals are important since it will provide you the calories needed to bulk up. Aside from the weight aspect, cooked meals are sources of various nutrients you simply can’t get from supplements. 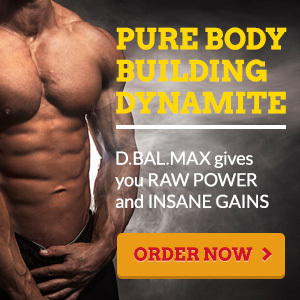 It’s a natural way of gaining mass and in a very economical way. Just avoid packaged and processed food. It contains a lot of preservatives and usually stripped of nutrients compared to fresh ones. Make sure that you schedule your supplement intake so the feeling of fullness won’t force you to skip meals. Ask yourself this question: what should I change on my lifestyle to gain more mass? Start now.